On the heels of five sold-out summer concerts, Titanique, the hilarious musical parody of the 1997 hit film Titanic, featuring the songs of pop icon Celine Dion-will return to New York City this fall. Near, Far, Where ever you are - don't miss Titanique! 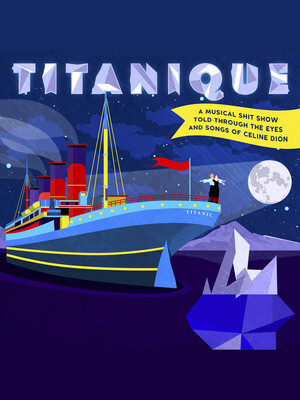 Finally, a musical parody based on the infamous sinking of the Titanic ship comes in the form of Titanique. The new musical is set to come to New York City for six performances after amazingly selling out shows in Los Angeles. 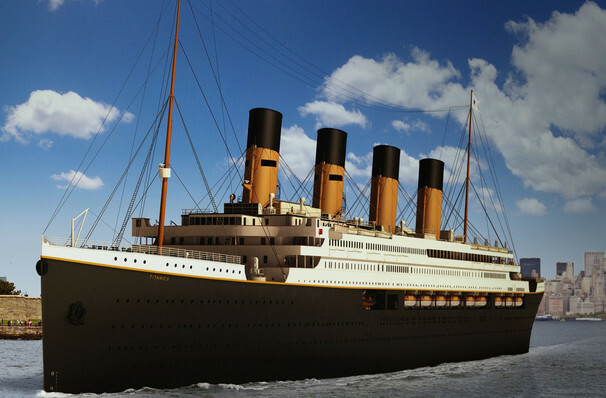 Something considerably bigger than the hit movie phenomenon came in the shape of Celine Dion's famous song, "My Heart Will Go On," which featured as one of the films theme songs. Bring the two together and you have a dazzling concert version of the film and Dion song that took Los Angeles by storm! Be prepared to sing to some of Dion's greats including "It's All Coming Back to Me Now," "I'm Alive," "Power of Love," and "Because You Loved Me" at New York's The Green Room 42. Produced and directed by Tye Blue. Musical direction and arrangements by Nicholas Connell. Co-written by Marla Mindelle, Constantine Rousouli and Tye Blue. Seen Titanique? Loved it? Hated it? Sound good to you? Share this page on social media and let your friends know about Titanique at The Green Room. Please note: The term The Green Room and/or Titanique as well as all associated graphics, logos, and/or other trademarks, tradenames or copyrights are the property of the The Green Room and/or Titanique and are used herein for factual descriptive purposes only. We are in no way associated with or authorized by the The Green Room and/or Titanique and neither that entity nor any of its affiliates have licensed or endorsed us to sell tickets, goods and or services in conjunction with their events.